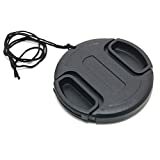 Posts related to JJC 55mm Plastic Snap-on Lens Cap with lens cap keeper for Cameras and Camcorders - Canon, Leica, Nikon, Olympus, Panasonic, Pentax, Samsung, Sigma, Sony etc. This entry was posted in Discount Photography and tagged 55mm, Camcorders, Cameras, Canon, etc., keeper, Leica, lens, Nikon, Olympus, Panasonic, Pentax, Plastic, Samsung, Sigma, Snapon, Sony by Ball Photo. Bookmark the permalink.